It is important to know that Wondershare Filmora Video editor, is one of the best video editing software out there. However, this video editing software is beginner friendly, and it helps beginners to start creating stunning videos. Unlike other video editors that are either specifically produced for professionals or newbies, Wondershare can be used by everyone without having a prior knowledge of it. Furthermore, Wondershare also has a free version. Nevertheless, it has a paid version with lots of features that you can enjoy than the free version. Even as a beginner, if you decide to use Wondershare, you won’t have any problems getting started; this is due to the fact that it has an enticing interface and all of its tools are easily noticeable. One of the first thing you will notice when you start making your own videos is the 4:3 of 16:9 option and the Easy Mode or Full feature mode. 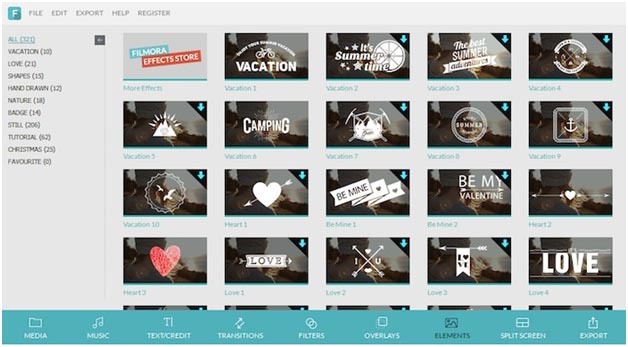 When it comes to the Easy Mode feature of Wondershare Filmora Video editor, it has inbuilt themes for you to create your own video. All you need to do is to add video clips and pictures and then, you can choose a good theme and music that is suitable for you. On the hand, the Full Feature Mode comprises of every feature which has been unlocked to you. However, this mode also comprises of customizable timeline editing window for everyone. Additionally, other features that come with this timeline include 1 video, 1 picture-in-picture, 1 text, and 2 audio tracks. It is needful to note that there may be just one video track, but that doesn’t mean you can play two videos at the same time. To play two videos at the same time, all you need to do is to move the video to the picture track. From the menu, you can get your media files including your videos, pictures, and also music. In the menu page also, you can access your Facebook account and get your pictures from Facebook. To make a remarkable video, there is a wide-range of text (160), transition (94), filters (146) and also overlays (97), and also elements (321) for you. Presence of an automatic scene recognition that helps to recognize scenes, and also separates them. #Check Wondershare promo codes and coupons to save upto 50% of the regular price. Movavi Video Editor is a Video Editing software that can serve your needs when it comes to creating stunning videos and pictures. Although, you may not use it for professional use, it has the ability to create movies and share them on a different website or with your family. 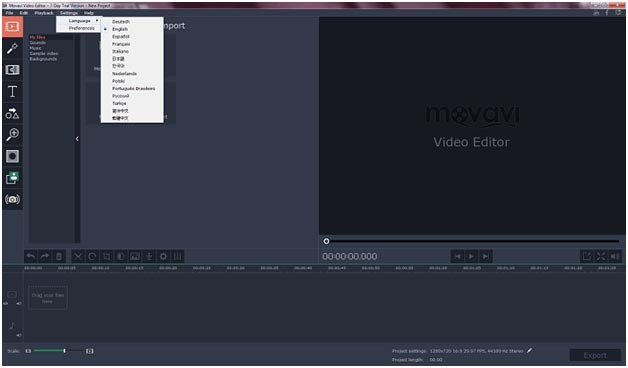 It is important to know that Movavi Video Editor is now on Version 12 (for windows) and Version 4 for (mac 0S). However, this movie editor comes in different languages, thus, giving it a worldwide acceptance. Just like Wondershare video editor, Movavi is very easy to use just for everyone that wants to produce quick videos at their convenience. Here are some step-by-step instructions with screenshots that can be useful. It is also needful to know that Movavi Video Editor is not so equipped for making professional work, due to the fact that it does not have professional tools and interface to create professional videos. Notwithstanding, Movavi is still a good choice because it offers solid set features to help create that video of yours. Unlike some other video editing software, Movavi Video Editor is very safe to use. Though, there is one part of the installation process in which you need to pay a close consideration to. When you have finished installing the program, the installer will ask for permission from you to install the program. One beautiful thing you need to take note of is that the installer file goes through lots of security checks from Microsoft security essentials and other Antimalware. When it comes to cost, it is not a free software. Although, there is a trial version which has a limit to its use. However, the free trial itself lasts for seven days; it also watermarks any video you would love to create. To further remove all of these and go for a paid version, you can do this by purchasing the license for $39.95 for personal use or $79.95 for corporate use. You can also check for some Movavi coupon codes to save upto 50% of the regular price. It comes with a striking range of transitions and effects when it comes to applying effects. It can’t be used for professional use. Conversion Speed When converting video files like MP4 of 800MB or more to AVI, Wondershare video converter is faster. When converting files, Movavi is slow and there is a loss of quality during conversion. Formats & compatibility Supports the conversion of 2D videos to 3D. Its support for web-based formats is good in Movavi. This implies that you can convert a file to HTML5-compatible format. Output quality optimization It has the ability for output quality optimization, but it doesn’t have the extra option to resize an output video manually. When it comes to the output quality optimization, Movavi video converter has the ability to resize an output video manually. Editing Videos There are a wide-range of professional options for you to edit your videos. Certain actions such as trimming, filters & effects, etc. are available to you when you use Wondershare video editor. There aren’t any advance option to edit videos and also, there aren’t no professional interface to help you edit your videos. Usability of interface Wondershare has a professional interface; this includes a sidebar with details, nice-looking tabs when trying to edit your videos. 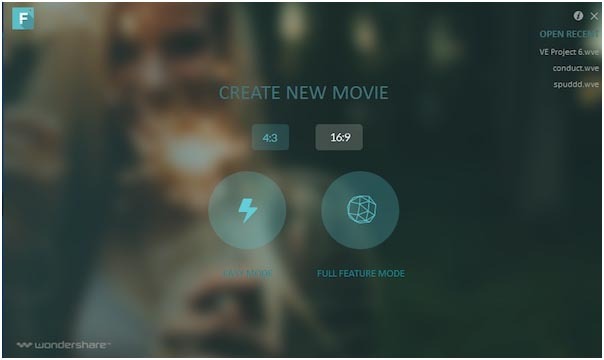 Movavi Video editor has a minimal design for the whole interface. Moreover, the design is more traditional and you can perform all of your video works in a single window. Burn to disk Wondershare has the ability to convert and burns to DVDs with DVD5 and DVD9 with high compatibility. Movavi doesn’t have this feature. In conclusion, there are lots of factors and comparisons when trying to choose between Movavi and Wondershare editor. As stated in this article, some factors that you might consider might be speed and making your video to look professional. However, we have stated here that when you want your video to have a professional look then, Wondershare might be the best choice. Nevertheless, if you want something simpler, then, Movavi might be your pick. It is important to note that both video editors are good, but it sometimes depends on what you want for yourself.